This feels like it should be a bigger deal. An UFC fighter’s union would completely change the sport of MMA as we know it. Over the past few years the UFC has sold itself for nearly $4 billion dollars, hooked up a massive sponsorship deal with Reebok and landed a TV rights deal with ESPN for over $750 million dollars. So in case you were worried the UFC is not hurting for cash at the moment; like at all. With all this new cash flow injected into the UFC you would expect fighters to receive some sort of benefit from it all right? Right? Has UFC fighter pay gone up in the past few years? Nope. Have bonuses gone up for fighters? Naw. Has there been any news about fighters receiving some sort of increased health insurance or 401k benefits? Umm yeah, not all, whatsoever. At the top the UFC is flourishing like never before and the fighter’s who make up the labor force are not seeing any of it. Again, shouldn’t this been a bigger story in MMA news circles? Currently UFC fighter’s union efforts are being run by a organization called Project Spearhead. Project Spearhead is worth the Google and has partnered with former Invicta and UFC fighter Leslie Smith as the face of their organization. 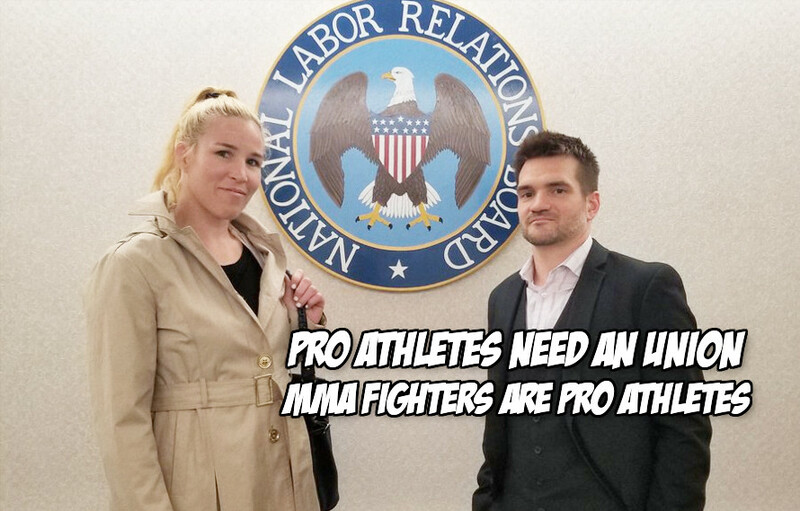 When we last heard from Smith she was actively attempting to get UFC fighters to sign Project Spearhead cards that would label them as employees of the promotion rather than independent contractors. As expected some UFC fighters dug their heels in the ground and refused to help Smith in her efforts. SMH. On a two fight winning streak, Smith was released by the UFC in April 2018. Yes, you read that right, the UFC cut a fighter on a two fight winning streak….”allegedly” because Smith was trying to organize fighters. Smith is now back, getting positive coverage for her attempts to get UFC fighters to collectively bargain. Check out his clip from the new season of Full Frontal with Samantha Bee on TBS. The full fighter union segment will air on Dec. 5, 2018.